This squeezed all the breath out of my soul. Horror. Sorrow from Emmett’s lynching. Beauty—so sharp it stings—of the words woven so we remember Emmett Till. 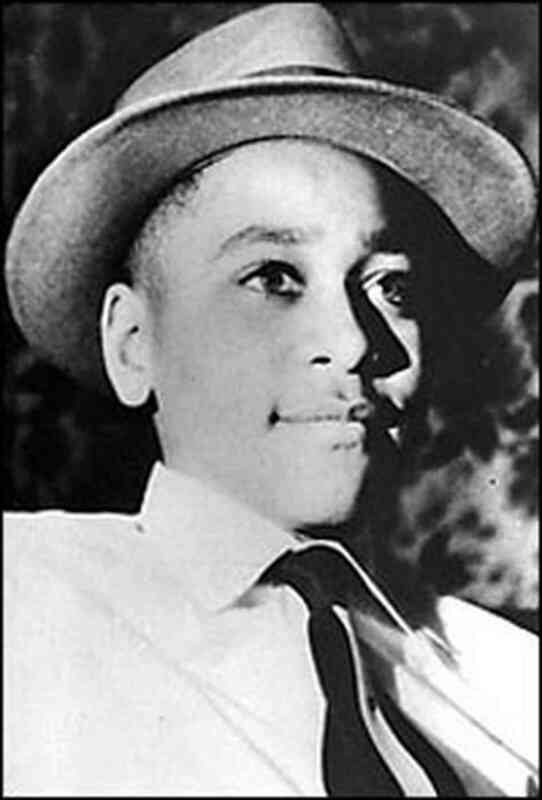 Emmett Louis Till (1941-1955) was a Chicago boy visiting relatives in Mississippi. Believing that he whistled at a white woman, two men took him from his uncle’s house and murdered him. Mutilated him. The alleged murderers were found ‘not guilty’ but those ‘innocent’ men openly explained how they killed Emmett months after the trial. Emmett’s mother, Mamie, became an activist for civil rights. Marilyn Nelson’s poem is a heroic crown of sonnets. A sonnet is a fourteen-line rhyming poem. A crown of sonnets links each sonnet together: the last line of the preceding sonnet is the first line of the next sonnet. A heroic crown has fourteen sonnets followed by a fifteenth, made up of the first lines of the first fourteen. This for a boy whose years were fourteen. The strict form became a kind of insulation, a way of protecting myself from the intense pain of the subject matter, and a way to allow the Muse to determine what the poem would say. The poem is a masterpiece of form, a crown that circles around to the beginning. It is a gruesome subject, but we must bear witness to atrocity. Notes in the back explain what Nelson had in mind with each sonnet, pointing out allusions. This, dear reader, is not obscure poetry. Here is the final sonnet, an acrostic collection of fourteen first lines. There is an idea, an ancient idea, that flowers represent ideas. If you’ve read or seen Hamlet, you’ll remember Ophelia’s line, “There’s rosemary, that’s for remembrance.” My sister-in-law and I were talking about this last month; she told me that she often puts some rosemary in a note of condolence. The wreath is woven not only with words, but with flowers as tropes. Someone—bless you!—recommended Marilyn Nelson’s book, Carver: a life in poems , which I got from the library. I read a third of the way through, stopped and bought the book. The same with Emmett Till: a library book on my Kindle, but I needed to own it. I now anticipate reading all Nelson’s books. Along with Wendell Berry and Billy Collins, Marilyn Nelson is in my list of favorite living poets. This entry was posted in book review, Books, Death, Poetry, Quotes, Words by alivingpencil. Bookmark the permalink. The portion you posted is staggering in it’s message. And breathtakingly beautiful. I’m basically echoing your opening of the blog, perhaps because words fail right now. I remember learning about Emmett Till several years back, but I can’t remember exactly how or when. Staggering is a perfect adjective, Susan. Thanks for your comment. It’s reassuring to know someone else had the same reaction. Amy, you are probably the one I should be thanking. I have this book on my nightstand ready to read next. I came to Emmett Till through GWC. Marilyn Nelson is such a gifted poet. THANK YOU!